← What Worries Mom or Dad Most? OptimumCare Home Care Services realizes that your utmost concern is to keep your loved one safe at home when you can’t be there. However, the truth is that many seniors, especially those living alone, may be vulnerable to crime as well as accidents. When necessary, our staff can provide a variety of tips and strategies to improve your loved one’s safety when you or a caregiver cannot be there. Whenever possible, we encourage our clients and family members to think safety inside and out. That means keeping doors locked, garage doors down and locked, and not allowing newspapers or mail to collect on the porch or in the mailbox. To enhance safety outside, ensure proper lighting. Potential fall risks for seniors including loose rugs, excessive furniture, clutter, and lack of safety and support devices in the bathroom. In the kitchen, it may be necessary to move some eating utensils such as flatware down to the countertop to prevent Mom or Dad from having to reach upward, which may cause an elderly person to lose balance and slip. Studies have shown that the kitchen and bathrooms of the home are the most prevalent when it comes to injuries. The statistics regarding falls among the elderly are not only alarming, but can be horrifying. Statistics have determined that it nearly one-third of individuals over the age of 65 experience a fall, and of those, another two-thirds will fall again within a six-month timeframe. One out of every 200 falls typically results in a hip fracture, and that statistic increases to one out of 10 for individuals 85 years of age or older. Falls also often contribute to traumatic brain injuries, and as a result increase future risks of falls or accidents. Common fracture areas also include the spine, legs, ankle, pelvis, upper arm and hands. After a fall, many seniors are afraid to become mobile again, leading to further loss of lean muscle mass, mobility, and in turn, independence. 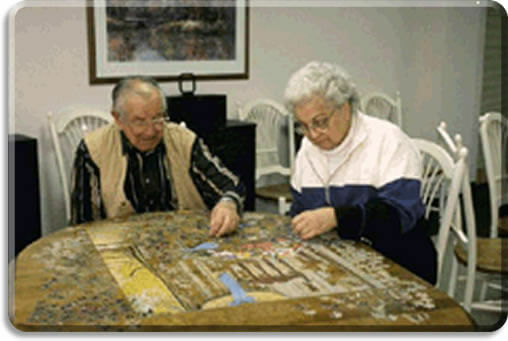 Falls are the number one contributor to loss of independence and independent living for seniors. At OptimumCare Home Care Services, we teach our caregivers to watch for fall risks and to make recommendations on how to reduce those risks in a home-based environment.